My Shiny Toy Robots: Movie REVIEW: Ultraman Geed the Movie: Connect the Wishes! Movie REVIEW: Ultraman Geed the Movie: Connect the Wishes! 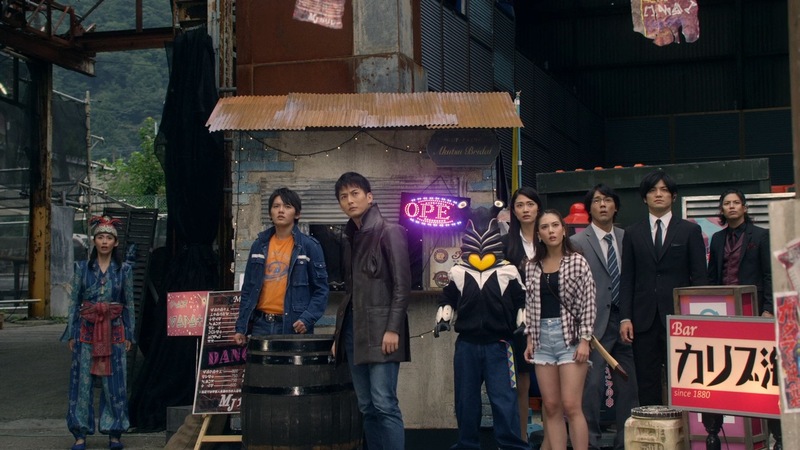 Although for the most part heroes never fully retire in the world of tokusatsu, it can often be a bittersweet moment when one series comes to an end and the baton is passed onto a new hero. 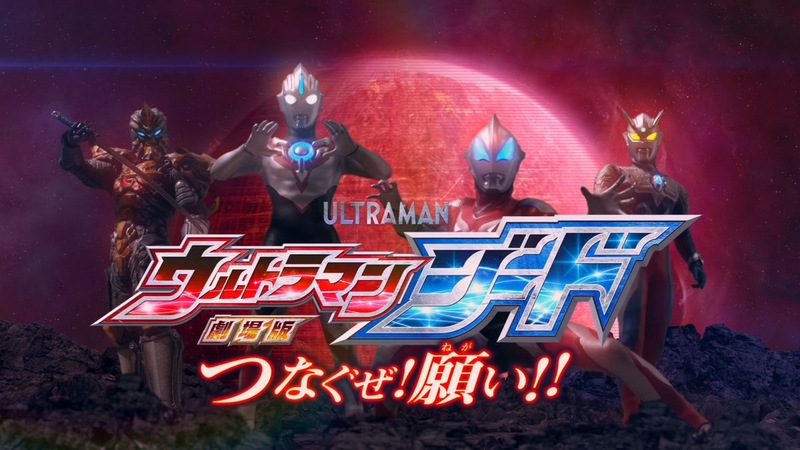 However there's always one last farewell in the form of a movie, and Ultraman Geed's story is no exception as the 2017 Ultra returns in Ultraman Geed the Movie: Connect the Wishes!. As per previous entires Tsuburaya Productions' latest Ultra Series film instalment also acts as a crossover with 2016's Ultraman Orb - a hero that has continued to stay in the spotlight since his original series thanks to an Amazon Prime exclusive prequel series, a biography-style recap series and more recently a dark version of the titular character's powers appearing in the currently airing Ultraman R/B. Some time after Belial's defeat, Ultraman Zero has rejoined the Ultimate Force Zero and left the Earth in Riku's protection. When the AIB cross paths with the ever ambiguous Jugglus Juggler, the planet also comes under attack from the powerful Galactron Mk II. Riku and his friends learn from Juggler that the robot has been sent by the Mechanical Brain Gillvalis - an artificial intelligence that has vowed to wipe out all sentient life in its mission to preserve peace. Gillvalis has come to Earth looking for the one thing that stands in its way, and the quest to find it first takes the group to Okinawa and Airu - the last surviving member of the Planet Kushia. With more Galactrons arriving on Earth, Gai Kurenai/Ultraman Orb and Ultraman Zero join in the fight as Geed attempts to harness the power of the legendary "Red Steel" to transform it into the mighty Giga Finalizer. But with the pressure of becoming Earth's sole protector mounting, Riku must first learn what it truly means to be Ultraman. The first thing that sets Connect the Wishes! apart from the previous two Ultraman movie releases is that this particular instalment isn't also doubling as some sort of anniversary celebration. 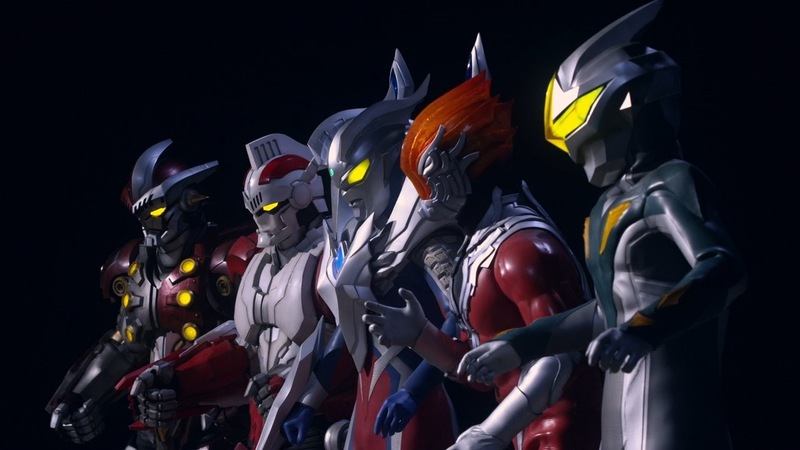 Whereas the Ultraman Orb movie marked the 50th anniversary of Ultraseven and the Ultraman X movie doubled as both Ultraman's 50th and Ultraman Tiga's 20th anniversaries, the Ultraman Geed movie is very much its own thing. That isn't to say that featuring anniversary elements worked to either of the previous films' detriment, but without that lingering need to check boxes Connect the Wishes! is very much free to be its own thing. 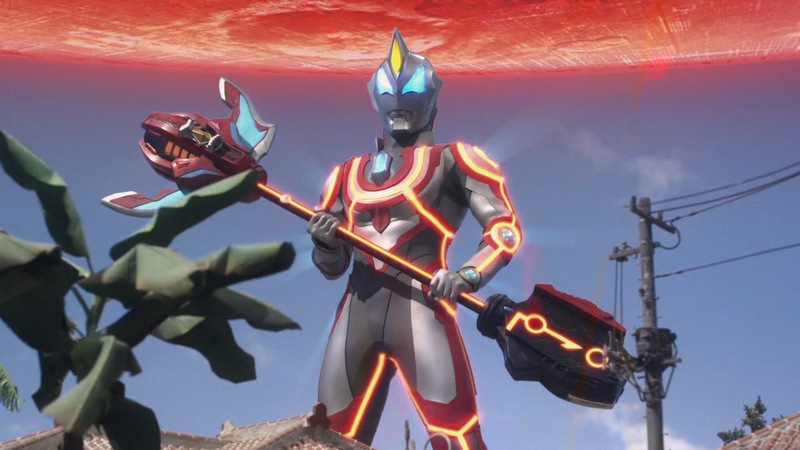 Above all it's a fitting conclusion to the story of Ultraman Geed, in which Riku is fully recognised by his peers as fit to be Earth's guardian (defeating Belial apparently not being quite enough to get that sort of respect). It's also a nice continuation of Orb's story even though it doesn't carry any of that show's narrative beats - as a cosmic wanderer Gai is the kind of character that can easily slot into any scenario, and more Jugglus Juggler is never a bad thing. Of course that isn't to say the film isn't completely uninterested in past Ultra continuity, because there's still plenty of tidbits here and there for longtime fans to enjoy. The Ultimate Force Zero make their first appearance since their formation in Ultraman Zero the Movie: Super Deciding Fight! The Belial Galactic Empire, which is of course made up of characters from a number of other classic Tsuburaya properties. Additionally a number of veteran Ultras also cameo in the film, though their role is suitably kept down to that of observer rather than taking the focus away from the title heroes. 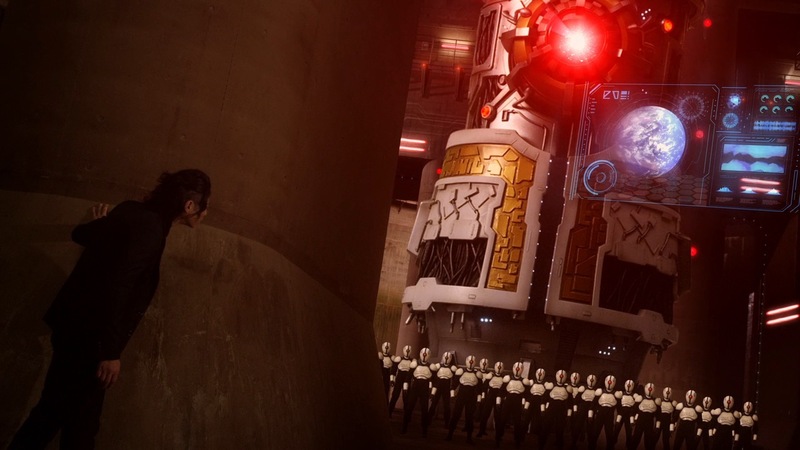 Ties that are a bit closer to home include the relation of Geed's new Giga Finalizer to Belial's own signature Giga Battle Nizer weapon, but perhaps the most significant piece of lore the film adds to the Ultraman mythos is expanding Galactron's backstory. 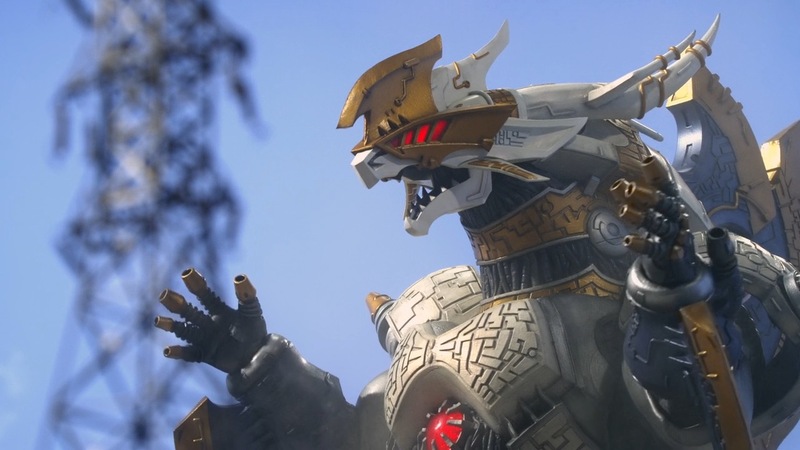 Despite only being introduced back in Orb Galactron has already made its mark as the only recent kaiju to have any sort of staying power (which is especially difficult in a franchise so concerned with legacy), so to finally get some proper backstory behind it is long overdue. The Galacton connection also helps elevate Gillvalis as a potent threat, since its backstory is actually relatively generic as far as science fiction alien computers go. It's also just nice to see the film tackle the franchise' often convoluted stance on parallel dimensions and multiple Earths head on, as while its a fact that many Ultraman fans accepted long ago its something that's rarely addressed properly in these newer productions. So what Connect the Wishes! really thrives on is its human cast. Though it's sadly only Gai and Juggler appearing from Orb, the pair integrate pretty seamlessly into the Geed group. Gai acts as the perfect senior to the more inexperienced Riku, while Takaya Aoyagi clearly continues to have the time of his life playing Juggler. As if the character's apparently begrudging but clearly not genuine attitude towards doing the right thing wasn't engaging enough, Juggler's interactions with the ever hapless Leito are just wonderful. Though to begin with the film might seem like a little bit of character regression for Riku, positioning him as someone both pressured and overconfident now that he's the only Ultra left on Earth makes a lot of sense. 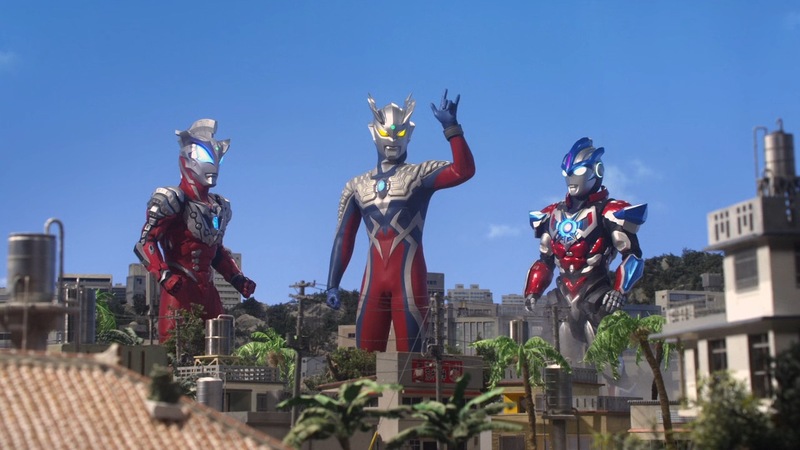 The franchise's core message of how anyone and everyone can be Ultraman is carried well throughout this storyline, which each of Riku's friends and allies help prove that only together are they Ultraman. Finally when it comes to the visuals, Tsuburaya Productions are at the top of their game as per usual. The Okinawa setting gives the film a nice visual distinction from Geed's usual setting - a brighter, more summery flavour that sets it apart nicely both as a movie production and something a bit more special than the series proper. The studio have also pulled out all the stops when it comes to both the suit and miniature work, with Geed, Orb and Zero cycling through their numerous forms during the fight scenes. This might not sound all that impressive on paper, but to see some of Orb's lesser used forms (such as Emerium Slugger, Lightning Attacker or Orb Trinity) or even just any of Zero's forms other than Zero Beyond is a pretty nice surprise. Geed's new Ultimate Final form not only looks fantastic with its Kamen Rider Faiz-style light-up sections, but also thematically works beautifully in that it sees Riku finally calling on his own unique power rather than that of previous heroes. The same goes the kaiju suits as well, with film featuring a good array of monsters both new and old. With the original Galactron suit already having made an impact Connect the Wishes! goes one step further and debuts the Galactron Mk II, a new version which doesn't necessarily improve on the original design but does diverge from it enough to be both exciting and unique. The same goes for Gillvalis true form, which borrows the basic Galactron silhouette and turns it into something suitably over the top for a final battle. 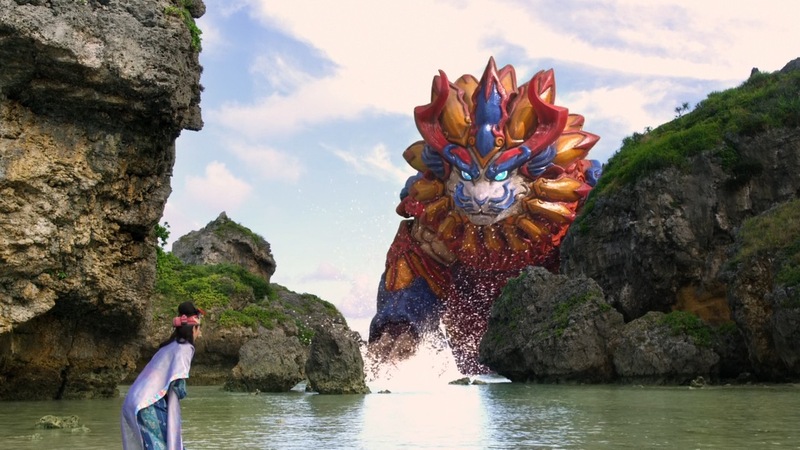 Finally there's also Gukuru Shisa, an ancient Earth kaiju that acts as the ancient protector of the Red Steel. As well as sporting a fantastic suit design this kaiju is particularly special as it relates to Okinawa's real-life Shisa mythology - making the film ever more deep-rooted in its setting. Ultraman Geed the Movie: Connect the Wishes! doesn't just continue Ultraman's steady stream of excellent releases, it's also undoubtedly the best Ultraman movie in the last few years - a superb crossover that's free to do its own thing and act as the perfect closing chapter to its respective series. 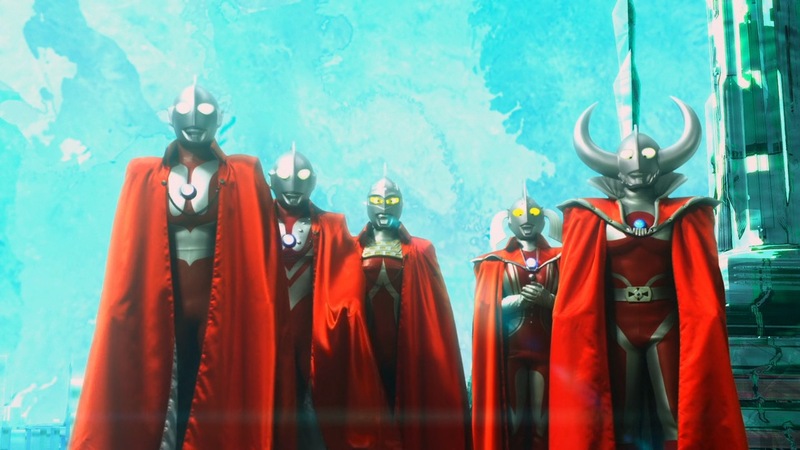 It's always a pleasure to see the stars of Ultraman Orb again and the pair fit in perfectly with Geed's cast of unforgettable characters - all of whom manage to make their presence known throughout the course of the film. If you've been missing Ultraman Geed this film will be exactly what you need. Impressions on R/B so far ? It's pretty good so far! I wasn't too into it at first, but since Aizen has become Orb Dark the show has picked up considerably. Still don't think it's quite as good as X, Orb or Geed but very good nonetheless! I just wish Crunchyroll has been able to grab it.